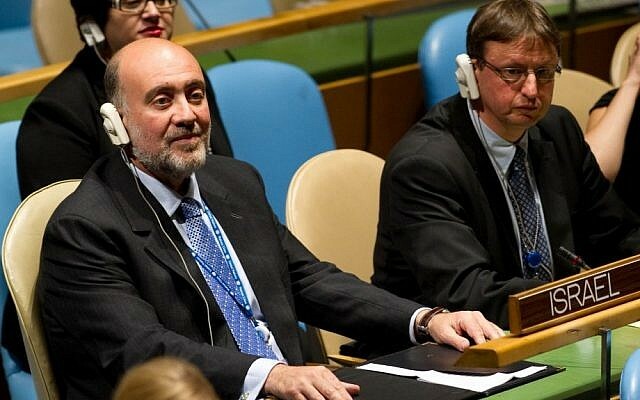 Israel’s ambassador to the United Nations, Ron Prosor, walked out of the UN General Assembly hall on Monday after Iranian President Mahmoud Ahmadinejad began making a speech about the rule of law. 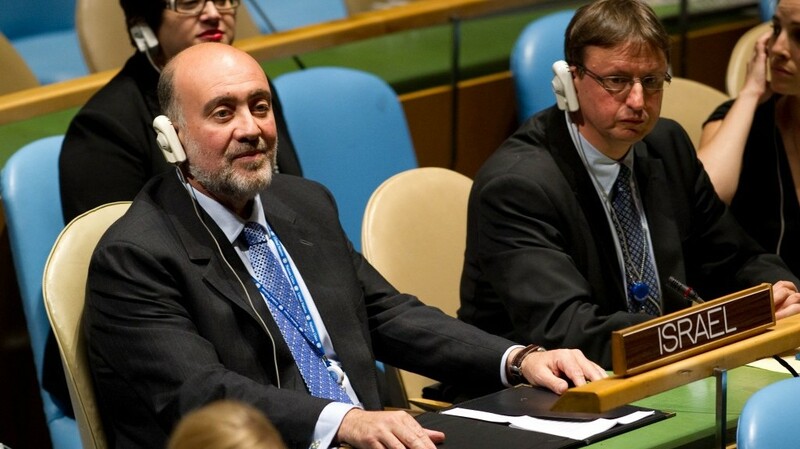 Ahmadinejad was speaking during the UN’s first high-level session on the rule of law, national and international. The Iranian leader’s main address to the UN General Assembly will be Wednesday evening, near the end of Yom Kippur, when no Israeli delegates will be present. Earlier Monday, the Iranian president told reporters in New York that Israel has “no roots” in Middle East history. He called the country a “historical phase” that has only been “occupying the land” for about 60 or 70 years — as opposed to Iran, a nation with thousands of years of history, he said. He also said US President Barack Obama is taking steps to increase pressure on Tehran to force it to give up its nuclear program, adding that Obama means it when he says “all options are on the table” to ensure Iran does not attain nuclear weapons. On Sunday, the leader of Iran’s Revolutionary Guard Corps warned that Iran may launch a pre-emptive strike on Israel. Israeli Prime Minister Benjamin Netanyahu will speak before the UN General Assembly gathering on Thursday, when he is expected to make Iran’s nuclear program the focus of his address.